I drank too many pisco sours the night before, which tends to happen on South America ski trips. That much was evident as we drove up infinite switchbacks on a dirt road that would take us to the top of the world's second highest mountain range. Our driver, Frederico, his rosary beads swaying and jingling from the rear view mirror with every rock, rivet, and rut, eased off the gas to a crawl. But my face was still as green as last night's cocktails. In the front passenger seat, POWDER contributor Heather Hansman kept her eyes closed to curb the nausea. In the backseat next to me, Paula Froelich, a New York City columnist, popped a large, white pill from Vietnam that was half epinephrine, and half dopamine—magic "hangover pills." She offered me one. I thought about it, but shook my head. My only cure would come at the end of this car ride, several thousand feet higher in the cool winter air of the Chilean Andes. Traveling between seasons is a lot like traveling through time. At the end of summer, you don't have to wait three or four months for snow. An overnight flight to the Southern Hemisphere and you're back in the cold days of winter. On an August evening last year in Southern California, I stuffed my ski bag with my winter gear. The next day, I drove to the airport in sandals, and in 80-degree parking lot heat, flipped them off my feet to pull on socks and a pair of boots before walking to the international terminal at LAX. My flight landed in Santiago, Chile, at 5 a.m. By 2 p.m.—hardly 24 hours since I had parked my car—I was loading the chair at Valle Nevado Ski Resort. If you flipped the world upside down, the Central Andes would be in a similar zone to Santa Barbara, and the terrain isn’t that far off base with dry deserts and cacti inland, valleys full of vineyards, and waves on the coast. Up here at Valle Nevado, with a base elevation at nearly 10,000 feet, the mountains look like chocolate layer cake with white frosting. Giant brown cliffs and bands of snow stripe the plateaus. The terrain is entirely above tree line and while it's mostly low angle, the slopes are wide open, perfect for arcing fast turns to kill your jet lag. That afternoon, I took my first turns of the season under a grey sky. The prominent Cerro El Plomo, an ancient ceremonial site for the Incas and the highest peak near Santiago at 17,783 feet, rose behind the ski area, and in the other direction, clouds hugged purple mountains which stepped down towards the deep valleys below. The next morning, I woke up with a pisco-induced headache to a loud engine scraping against pavement. It took me a minute to recognize the sound; I hadn't heard a snowplow in months. A few inches of fresh fell over the night and light snowfall cut to blue skies by mid-morning. Heather and I spent the day following Valle Nevado heli ski guide Mike Barney (who also guides at Silverton in our winter) around the mountain, in search of pockets where the snow blew in deeper. We mostly stuck to the backside and lapped the Tres Puntas poma, named after three rock points on top of the ridge, which gives access to the best terrain of the ski area. We poked around the rocks and sidestepped up the ridge to find good turns. At the top of an open knoll that had yet to be skied, Mike threw a snowball to show the fall line, told me to stay to the right, and let me have at it. I opened my turns, fast and wide, and cut my signature into the mountain, leaving a rooster tail of snow in my wake. Thirteen dusty kilometers later and Frederico finally swung the car around the last of the switchbacks and pulled up to the lodge at Ski Arpa. By lodge, I mean stone hut. 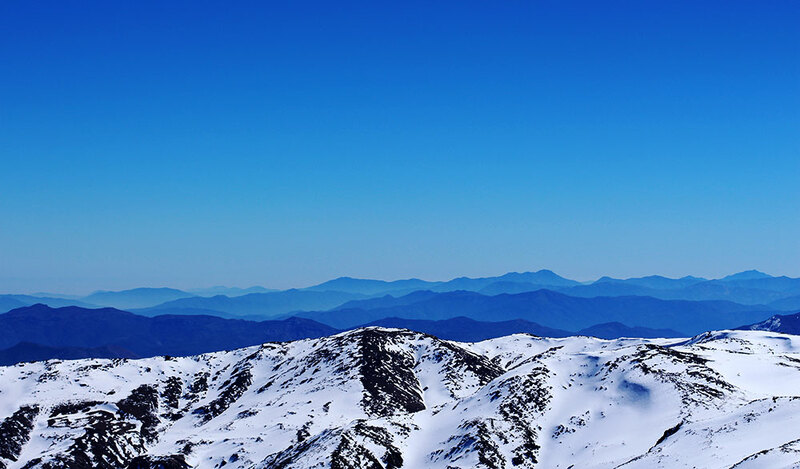 Where Valle Nevado is one of Chile's most developed ski resorts, Ski Arpa is minimalist skiing at its finest. Two old cats and a beat up red Toyota truck are the only uphill infrastructure. And it attracts a different sort of clientele. At Valle Nevado, we shared the hot tub with a bunch of flamboyant Brazilian men. At Ski Arpa, a dozen ski guides from Aspen, Jackson, and Montana, who traded in their summer for more winter, greeted us, coffee in hand, on sun-drenched wood benches. Ski Arpa is a family operation, owned by father and son Toni and Anton Sponar. Toni, a weathered ski instructor from Austria, gives this place character. Anton, who was raised on winters in Aspen, Colorado, and summers at Ski Arpa, heads up the guiding end of things. Anton is an accomplished ski mountaineer himself, recently climbing and skiing the three tallest mountains in the Alaska Range—Denali, Foraker, and Hunter. After Anton gave us the requisite backcountry safety rundown, we threw skis in the red Toyota truck, and then the cat, and drove to the top of the ridge, to a lookout point where you can see the entire width of Chile. Look east towards Argentina and the highest mountain in South America, Mount Aconcagua, a massive pile of rock and ice, dominates the horizon. Look west and the mountains fade to shades of blue toward the ocean. 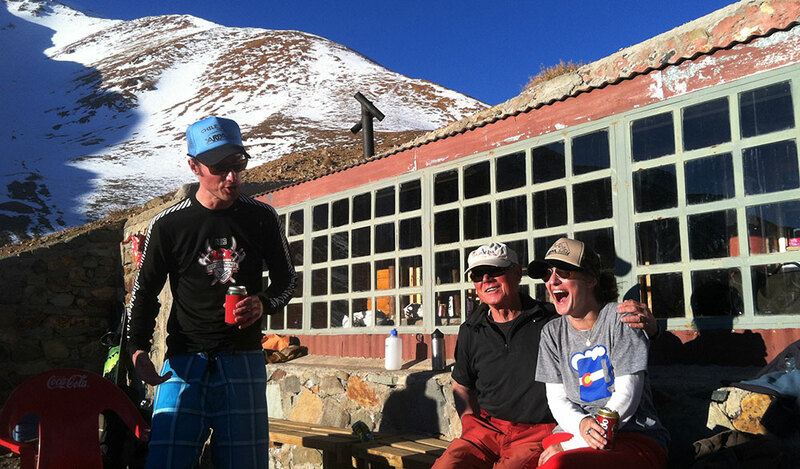 After a day's worth of laps on sun-ripened corn, each with respectable vertical and a straight shot back down to the cat, we celebrated the end of the day with more than a few cans of beers on the porch in front of the stone hut. Most of Ski Arpa's clients make the long, winding drive back down the mountain at the end of the day. But the beers kept flowing, and the guys fired up the grill, and after we watched the sun set over the central Andes, we went inside and continued the party by candlelight. General info: Valle Nevado offers skiers access to 7,000 acres worth of in-bounds terrain, and 20,000 acres of heli-accessed terrain. It's about a 90-minute drive from Santiago. For those looking for another experience, Ski Arpa offers more aggressive terrain. How to get there: LAN Airlines offers direct and comfortable flights from their hubs in New York, Miami, and Los Angeles, and the most modern fleet of planes in South America. They serve enough Chilean wine to help you sleep on the way, too. To check prices and find special ski packages, visit LAN.com. Where to Stay: The Aubrey is located in Santiago's artist's district for a night in the city. Valle Nevado offers a variety of condos and hotel rooms to fit different budets. And the Casa San Regis in Los Andes is a beautiful villa that is a perfect base for a Ski Arpa trip, unless you prefer the floor of a stone hut. Make it easy on yourself and book a trip through Santiago Adventures. They'll take care of all the logistics for you, and they’re the best in the business for pre or post tours like wine-tasting in the Casablanca Valley. Other travel tips: As of this year, there's no more $160 reciprocity fee for American visitors to Chile—hurray! 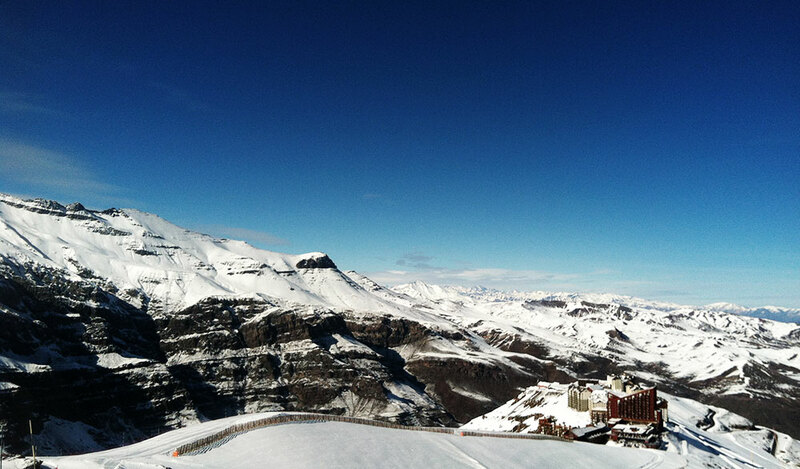 Valle Nevado is also on the Mountain Collective pass, giving those pass holders an extra deal. And if there's one year to go to South America, this might be it. They're touting an El Nino weather pattern to favor the Central Andes. 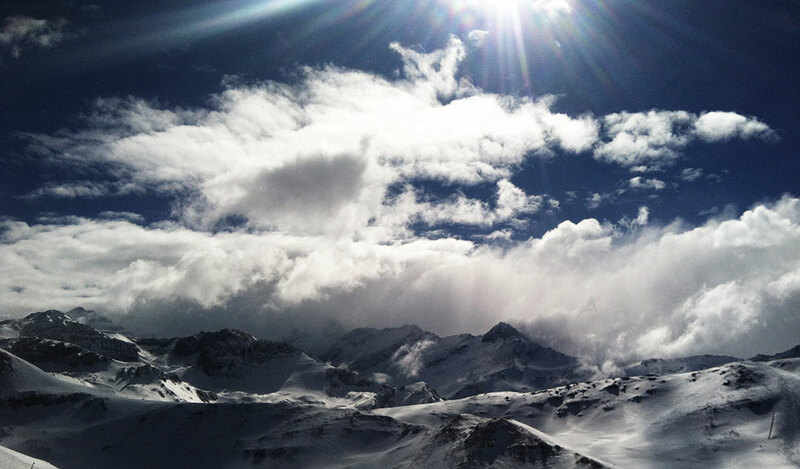 Valle Nevado is already reporting several feet of snow and will be fully open starting Friday, June 27.